As I indicated in my last post, I was feeling alone and scared after the day of appointments for ER+ breast cancer. I was certain that I didn’t have a lot of time even after all my treatment. I prayed that God would give me the strength to cope. I have always hated even visiting people in the hospital because I always felt faint or queasy (sometimes both). I shared my diagnosis with my school colleagues. They were so supportive – prayers, offering to help with meals, and offering to help me in any way I needed with my class. One day a parent asked how I was doing. I told her I was okay but that I was worried because every time I started to pray, I thought about the cancer and was totally distracted by these thoughts. She told me I didn’t need to worry because so many people were praying for me. For the remainder of the school year – about six weeks, I felt a calm confidence that I could deal with this. On April 20, 2010, I had a mediport placed in my chest above my left breast and I started chemotherapy infusion on that Friday. Again, I was going to have chemo every other week for eight infusions (i.e., 16 weeks). My siblings took turns coming on the day before my treatment and spent the weekend with me. The following week, a dear friend took me to buy a wig. I bought one that day and planned to come back in a few weeks to have it “styled.” The day after my second treatment, most of my hair came out in clumps and I started to panic. I needed to go to school for a religious event involving my students. Then I remembered that I had my wig! One of my sisters was here and helped me get the wig on over the remaining hair. When I got to school, the kids told me they liked my new haircut. I went back to the wig shop with my friend and had the remaining hair “shaved off” and my wig was styled. I was feeling pretty good. Chemotherapy, while not a fun experience, was not as bad as I had thought it would be. Part of the treatment included the infusion of anti-nausea meds prior to the chemotherapy infusion. On each of the Saturdays after chemotherapy, I went to the hospital to get a shot of an immune booster, Neulasta. While I would feel a bit tired, usually on Sunday, I really didn’t have too much discomfort. By the time the chemotherapy ended, on July 30, I could not feel any sign of a tumor. My oncologist commented on how well I had responded. I did have cancer cells remaining in my breast. In my next blog, I’ll talk about my surgery and after-care/treatment. Editor’s note: Betty has fought estrogen receptor positive breast cancer or ER+ breast cancer. There are different types of treatment for this type of cancer. One treatment for this type of cancer is an estrogen receptor antagonist (like tamoxifen). An estrogen receptor antagonist blocks the effect of estrogen in many tissues, including the breast. However, in premenopausal women, tamoxifen thins the bone. Another treatment for this type of cancer is an aromatase inhibitor (like Femara or Arimidex). These treatments block the production of estrogen in body leading to possible bone loss. Any time bone loss occurs, calcium is recommended to help stop or reverse the loss. Now you can try Cal-EZ for free! 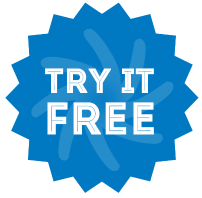 Click on the button to order your free sample today!